Humans are complex, and movement can be complicated. Why does your client always bend over when they do squats? Why do they do that weird thing with their back on some days? How can they understand it more simply? Fixing movement is simple: make the wrong stuff look right. Okay, smart guy, but how do I know what is wrong? Fixing movement is simple for me now that I’ve coached for roughly a decade. But that’s only because I’ve meticulously dissected thousands of reps. Now I can identify what I like and what I don’t like. That squat looks like a deadlift. I don’t like it for this person. That push up looks like they’re doing The Worm. I don’t like it. That deadlift looks like it hurts. I don’t like it at all. Deciding what you DON’T like is easy… but only once you know what you DO like. That took me about 6 minutes to list. But how long did it take to build that database of squatting mistakes? And that’s necessary. Experience begets competence. That’s how you can become a master of your craft. But there is a quicker way. It’s not easy, but it is quicker. You want to understand what “normal” looks like. Hey! Some of that is just coaching. It’s an art. You play with cues you like and sometimes they don’t work. But let’s say you have a group of twenty people. Can you cue them? Some would say no, but I think you can. I’ve done it. But your cues have to be dialed in. So does your exercise selection, but that’s a talk for another day. But now the burning question: how in the world do you find out what “normal” looks like? And that’s also why I put together this mentorship. I think I can teach you most of what you need to know is roughly 24 hours of hard work. NOT 24 hours of daytime, but 24 hours of focused, deliberate practice. 24 hours of nose to the grindstone. 24 hours of well slept, highly caffeinated attention. At least, I think we can do that if you’re a somewhat experienced coach. You have some coaching reps under your belt. 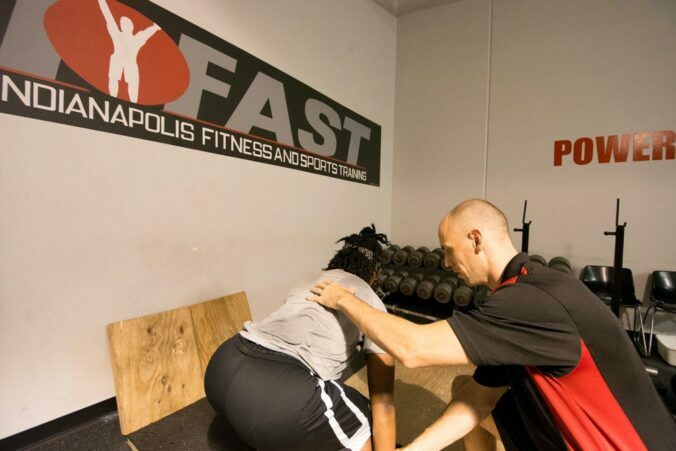 You’re already familiar with the process of seeing movement and giving cues. You probably just need some re-focusing. And more coaching reps never hurt either. I think most people get into the fitness industry because they learn well by doing. We have to get our hands dirty. We have to coach each other. We have to look at movement in a new light. And we have to have reasons for the cues we give. You can say, “Chest up!” But if the problem is in the hamstrings, that cue probably isn’t going to work. So we work together to identify “normal”. Then we can use our instincts, harness our creativity, and come up with cues that work for us. First, we become scientists. Then, we become artists. Learn more about The Movement Seminar.